Dunder is the creation of two casino enthusiasts from Sweden and opened its doors in early 2016. 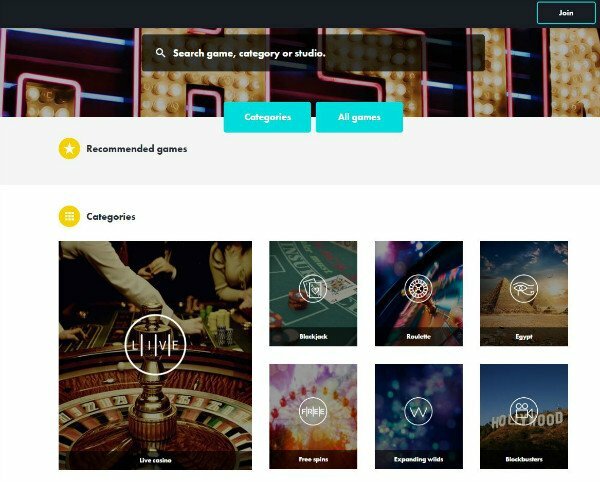 Its founders were aiming for a gambling operator that would make casino games fun and easy to play. The website is a breeze to navigate, loads quickly on mobile devices and brings hundreds of games to your fingertips. By adding new bonuses, payment methods and ways to contact customer support, the casino tries to close the gap separating it from industry leaders. Dunder might be a new player but has the advantage of being run and operated by MT Secure Trade. These guys have applied for a license and were issued one by the UK Gambling Commission and Malta Gaming Authority. These dual licenses deny them the possibility of serving players from the United States, who are prohibited by existing laws. Players from countries where gambling is legal can set up an account and qualify for all the bonuses they offer. Dunder online casino uses SSL encryption technology on the entire website. This means that all the data and sensitive information exchanged between players and the gambling operator is protected. Other threats are contained by having the games regularly audited for fairness by independent companies. The random number generator needs to meet the high standards imposed by the UKGC. This is one of the strictest regulatory bodies in the world, so the casino can be trusted with real cash. Dunder Casino games are an eclectic mix of title produced by leading software developers. Three of them stand out from the crowd, with NetEnt, Play’n GO and MicroGaming providing most of the games here. They are the ones behind the best paying video slots, including the progressive jackpot Mega Moolah and Mega Fortune games. Gemix, Aloha! Cluster Pays and Drive: Multiplier Mayhem are some of the other slot machines popular with online gamblers. The growing popularity of live dealer table games didn’t go unnoticed and Dunder casino. The vast majority of these games can only be played against the RNG. Cyberstud Poker, Casino Hold’em and Pai Gow Poker as well as different types of baccarat, roulette and blackjack fall into this category. Those compatible with real dealers present players with unique opportunities to interact with their peers. The interface is slick and players can chat during the game or converse in the lobby. There are seven types of video pokers for players who have a keen eye for the genre and a few scratch cards. All-American Poker, Deuces Wild, Double Bonus Poker, Double Joker, Joker Wild and Tens or Better have an average payout of more than 95%. The payout tables can be compared on the website, so players make an educated decision when choosing one game or the other. The only downside of playing video pokers is that they don’t count towards meeting wagering requirements for the bonuses. Dunder Casino payment methods are some of the fastest you can find online. Electronic wallets are by far the most effective ones, transferring funds in as little as one hour. If players fulfil the verification procedures, they only need to wait for the standard 24 hour pending period. Credit and debit cards as well as bank transfers are offered, with an average waiting time of three business days. The casino has a maximum cash out limit of €5000 per withdrawal, with no such restrictions per week or month. There is a commission charged when using Neteller, Paysafe Card, Visa, EcoPayz, Euteller, Skrill, wire transfers or TrustlyWe. The sums are not significant, but still have a deterring effect on some prospective customers. Most online casinos have waived all fees and cash outs are completely free. Those who have attain VIP status as well as players who have a flawless track record, will enjoy even faster withdrawals. These can be cancelled within 24 hours and the funds will be transferred back to their accounts. Dunder Casino customer support is available seven days a week, but only 12 hours a day. This can feel a bit restrictive for players who gamble around-the-clock. Between 11 AM and 11 PM, players can use the live chat, telephone and email support to get assistance. Outside these hours, it is recommended to go over the FAQ section before asking further questions. In addition to English, which is the official language here, players can also interact with specialists that are fluent in Swedish. The average waiting time for those who choose to contact the specialist by email is less than 24 hours. The same goes for those who write emails over the weekend and their customer service always get to the bottom of any problem. Players have the option of breaking the quality of the support they received, may complaints and suggestions. Opening a real money account here will make players eligible for the Dunder Casino bonuses. The entire package consists of $600, which is divided into several bonuses awarded on each deposit. Players are presented with the opportunity of making four consecutive investments to unlock the maximum bonus. This alleviates the pressure on those who have limited resources but hope to unlock the maximum bonus available. Players should deposit the full €1525 or currency equivalent to play with more than €2100. Each time players make a deposit, they will have the corresponding bonus awarded immediately. There are also free spins to collect and these are unlocked incrementally. All of them are supposed to be claimed by spinning the reels of one of the most popular NetEnt slot: Starburst. There are many ways to win when playing this game and bonus rounds are awarded in two chunks. When players register for a real money account they collect the first 20 free spins and the remaining 180 are offered upon making the first deposit. These freebies come with some strings attached, but the wagering requirements are all easy to meet. The initial free spins need to be claimed within 24 hours after being awarded, otherwise, they expire. Players are also expected to use them right away and play exclusively Starburst slot machine. Resulting profits are not restricted to the same game and can be used to play other slots or table games. The introductory offer as well as the bonuses awarded in ongoing promotions need to be played through 25 times. Dunder Casino promotions sometimes require players to use specific bonus codes to receive stuff for free. These change often and are displayed on the official website, so players need to pay attention to these details. The minimum amount that players need to deposit to collect any bonus consists of €20, which is hardly prohibitive. Different games have different stake percentage contributions, with video pokers not counting at all, while slots contribute for 100%. Dunder Casino has entered a highly competitive industry, but has the ambition to challenge the leaders. Its Scandinavian roots are self-evident, but the website is a pleasure to navigate by international users. The fact that commission is charged on cash outs and customer support that is only available 24/7 are two of its flaws. Some players also wish for more table games being added, as right now slots reign supreme. With so many progressive jackpot games available, this deficiency is easier to accept by new customers. On the bright side, the website looks absolutely gorgeous, with a modern design and a slick interface. Even in the absence of a mobile app, players can enjoy the games on smartphones and tablets. Every now and then mobile users will benefit from exclusive bonuses that can be redeemed on their devices. The Dunder Casino review should convince you that the casino is a safe place to gamble, despite being new. The road ahead is long and twisted, but the gambling operator is clearly advancing in the right direction. - Dunder Casino has three gambling licenses and is a very safe place to gamble. - There are more than 600 games to enjoy here, produced by leading software developers. - Progressive jackpot slot machines are featured and there is a live dealer casino area. - Customer support is not available 24/7 and commission is charged when withdrawing funds. - The emphasis is clearly on slots, with fewer options for table games fans.